Memories of school yard coat pegs and their years of wear are reminiscent in these characterful coat racks. 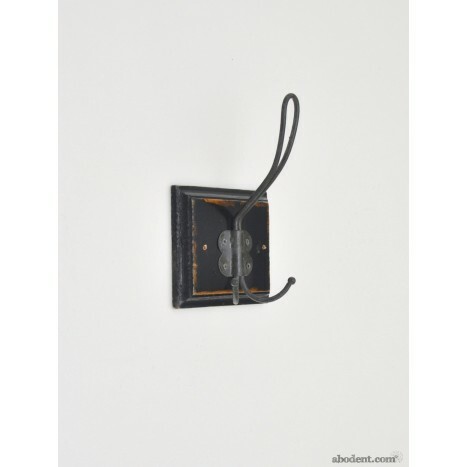 Industrial style metal coat hooks seen against the shabby wear of the rich dark wood wall mounts gives a quirky highend twist to this traditional item. Tags: small hook shabby coat rack, single hook distressed wood coat rack, small coat hooks, weathered coat hook.